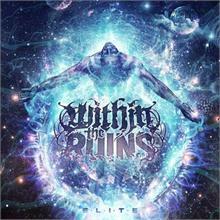 WITHIN THE RUINS have announced a new batch of spring tour dates surrounding the release of their brand new record, “Elite“ due out next week. The band recently announced their participation in the “THE SICK TOUR II” last week, which begins in just a few weeks. The band will then be heading out with label-mates THE CONTORTIONIST in part of the “GOOD FIGHT TOUR” along with I DECLARE WAR, REFLECTIONS and CITY IN THE SEA. Soon after that, the “ROAD TO METAL FEST” tour kicks off with the band supporting AFTER THE BURIAL, dates can be seen below. A plethora of pre-order bundles are also now available. 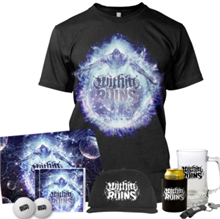 Most notably, the “Party Pack” which includes an autographed cd, Shirt, Snapback hat, 11″x17″ lithograph poster, Glass mug, Coozie, Bottle opener keychain and Ping pong balls!